Cross Bar X Youth Ranch has been providing a Christian summer camping experience for socially and economically disadvantaged youth for over 40 years. Many of the children that come to camp have never experienced horseback riding, backpacking, or a high ropes course. Most importantly these campers´ lives are being changed by the love of Jesus through a high staff to camper ratio. Many of these campers only pay the required deposit fee of $50. Cross Bar X Youth Ranch is a non-profit 501 C3 organization and your contribution is tax deductible as provided by law. 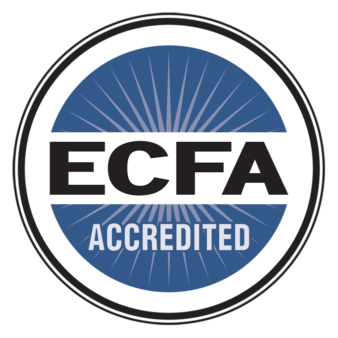 We are accredited by the Evangelical Council of Financial Accountability who certify that CBX is practicing the best standards of stewardship in seven key areas. A gift to a staff members, both full time and seasonal, help to further their ministry at CBX. A gift to the Campership Fund gives many children the opportunity to experience CBX. A gift to the Brothers Foundation provide resources for use at the discretion of our founders, Nick and Tracy Brothers. Gifts of personal property are an excellent way to give to CBX. A gift to the Capital Fund helps CBX to maintain, develop and expand into the future. A gift of stocks, bonds, and estate are easy ways for you to make a gift to CBX.